Ronald Vance, age 70 went home with the Lord on January 28, 2019 at Alliance Community Hospital. He was born on September 29, 1948 in Alliance to Otis and Virginia (Warner) Vance. He was a Graduate of Marlington High School with many years of HVAC trade certifications. Ron was the owner of his own Heating and Cooling (HVAC) company. He had a very strong work ethic and was a dedicated family man with a heart of Gold. 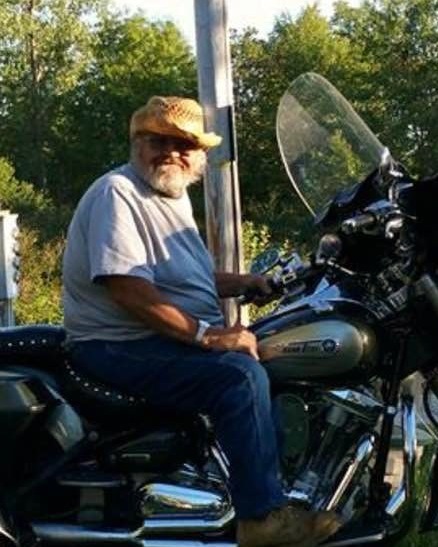 He enjoyed riding his motorcycle, spending time with his grand children especially watching them play sports and racing their ATV’s. He also liked hunting, gardening and pushing dirt with his dozer. He always enjoyed his gatherings with his friends and family riding, boating, or just playing cards. Ron was a man of many nicknames, “Clink” “Round Man” “Blister” “Big Daddy” to name a few. He attended the Fellowship Baptist Church in Beloit. He is survived by his step mother; Alberta (Court) Vance of Alliance. Daughters: Tracy (Dennis) Whaley of Malvern, and Tanya (James) Scott of Alliance. Sisters: Nancy Rice, Linda Murphy, and Kay Salinas. Brothers: Leonard, Chuck, Jim and Tim Vance. Grandchildren; Alexis and Seth Scott and Hope Whaley. Besides his parents he is reunited with his wife Darlene (Cameron) Vance. A funeral service will be held on Friday, February 1, 2019 at 4 pm at Dean's Funeral Home. Friends and family may pay their respects from 2 till 4 pm prior to the service. Reverend James White will officiate. In Lieu of flowers donations can be made to the family to help defray funeral costs. Arrangements are by Dean’s Funeral Home, Sebring, Ohio. Friends and family may send their condolences online at www.deansfuneralhome.com.